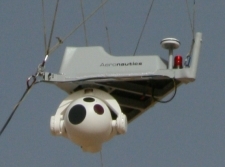 CONTROP's SPEED-A payload has been ordered by yet an additional customer – this time in Europe - for surveillance applications on aerostats and balloons. Thermoteknix unveiled their MicroCAM 1024HD GIGE high definition thermal imaging module. New MWIR Uncooled FPA ROIC: larger resolution, high-speed. Nikon Introduces New Laser Rangefinder "Forestry Pro"
Far-Infrared High-Sensitivity Security Camera and High-Performance Lens Series, Jointly Developed by the Industry's Two Leading Companies.